Nissan’s seven-seat, midsize utility vehicle receives a significant overhaul. Nissan’s three-row Pathfinder crossover utility vehicle was fully redesigned in 2013, shedding its previous body-on-frame SUV roots to assume a car-like unibody layout. 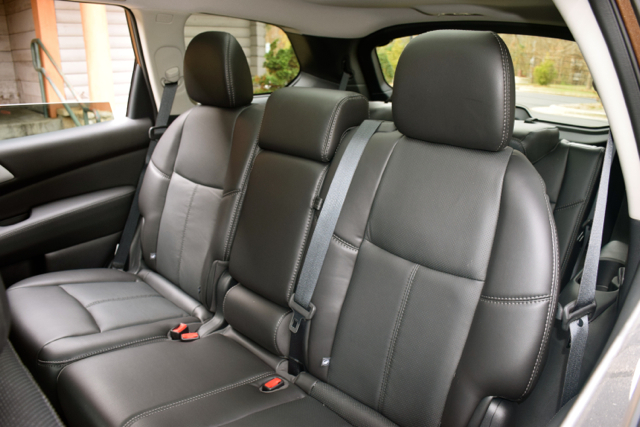 The transition has been a sales boon for a vehicle now in its fourth model year. But it is also time for a refresh and for 2017 Nissan decided to “go big” with the changes. Those changes were unveiled on Thursday at news conferences in Dallas and New York. Nissan officials took the wraps off of the updated model, revealing numerous exterior changes as well as an update to the center console. The most significant change comes from the 3.5-liter, V-6 engine as it has been vastly overhauled. The heavily modified direct injection gasoline engine features a revised air intake, electronic variable timing control, and mirror bore coating. Approximately 43 percent of the parts are carried over from the previous generation engine with 32 percent of the components ported from other Nissan engines. That means 25 percent of the parts are all-new and were designed for the upgraded motor. As a result of the changes, a more powerful engine is at the ready. Horsepower has increased from 260 to 284; torque was bumped up from 240 foot-pounds to 259 foot-pounds. Another benefit comes in pulling power as the tow rating has been upgraded from 5,000 to 6,000 pounds. 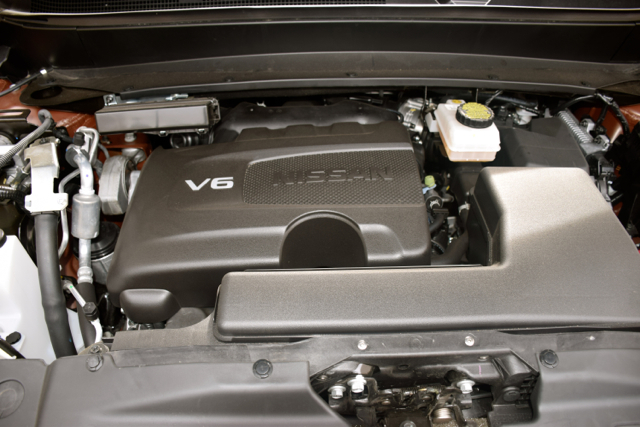 This engine comes paired with Nissan’s third-generation Xtronic variable gear transmission. It includes Nissan’s D-Step Logic Control, which simulates shifts in an effort to provide a more natural feel while accelerating. 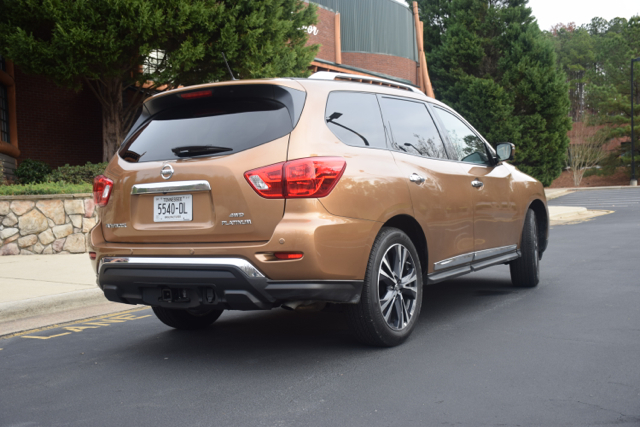 Nissan also went beyond the customary nip/tuck with the Pathfinder’s refresh by making significant changes from the front roof pillars (A-pillars) forward. This SUV features a new front fascia, grille, hood, and fog lights. All-new LED headlights and LED daytime running lights are also present. As a result of the upfront changes, Nissan lowered the Pathfinder’s coefficient of drag from 0.34 Cd to 0.326 Cd. 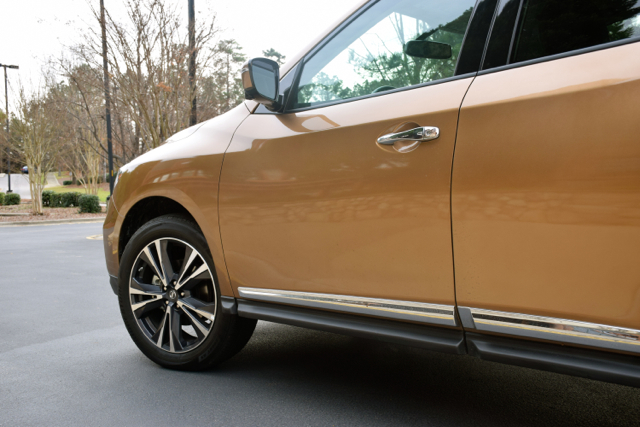 The 2017 Pathfinder also gains new outside (side) mirrors with integrated turn signals, an updated rear fascia, and a motion-activated power liftgate. Standard for 2017 is an 8-inch touch-screen display for the center console. As for connectivity, NissanConnect Services is standard on the Platinum edition (available elsewhere, except for the base model); all models now come with SiriusXM Travel Link with three years of service. On the safety front, the 2017 Pathfinder is equipped with an Around View Monitor with moving object detection (standard on the SL and Platinum editions only). You’ll also find intelligent (adaptive) cruise control (Platinum edition only) and forward emergency braking (Platinum edition, available with the SL edition). Nissan says it has improved steering agility by 11 percent. The front shocks are 11 percent stiffer, the rear shocks come in at 7 percent stiffer. Up front are rebound spring struts; at the rear the rebound spring rate has increased by 25 percent. Overall body roll has also been reduced. 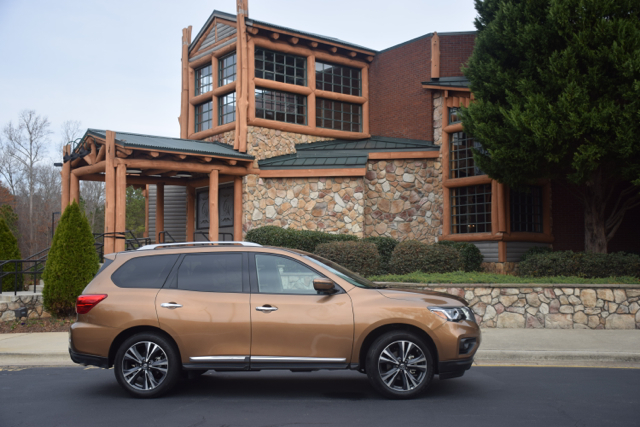 The 2017 Nissan Pathfinder arrives this fall and will be available in four trims: S, SV, SL, and Platinum. No prices have been announced yet. Fuel economy numbers have not been announced, but Nissan expects the 2017 Pathfinder to match the 20 mpg in the city and 27 mpg on the highway rating of the 2016 model. This SUV takes regular grade gasoline. 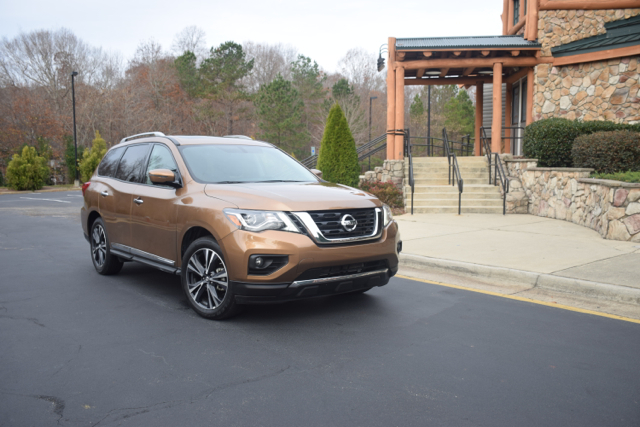 For consumers, an updated Pathfinder provides a model even better suited to take on the competition. 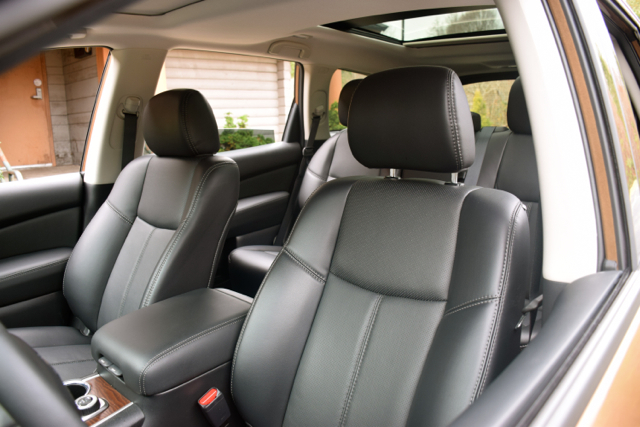 Other models to consider in this segment include the Honda Pilot, Chevrolet Traverse, Toyota Highlander, Dodge Durango, Kia Sorento, GMC Acadia, Mazda CX-9, Volkswagen Atlas, Buick Enclave, and the Hyundai Santa Fe.